INTIMATE DESIGN DETAILS: External Pockets On Both Sides Are Made Of Elasticized Mesh, Expands To Secure Various Size Water Bottles And Compact Umbrella. LIGHT & COMFORTABLE: Multi-Panel Airflow System Provide Relief When Carrying Heavy Loads. Many Padding On The Back, Shoulder Straps Makes It Comfortable To Carry, Barely Feel The Weight. DURABLE MATERIAL: 100% Brand New And Made Of High Density And Water Repellent Polyester Fabric, Not Easy Get Wet And Ensure Long Lasting Usage. Washing Separately To Avoid Staining. BEST GIFT IDEAS: Practical Birthday Gifts And Functional Present For Those Who Go To School, Traveling And Work. For Your Children, Mother, Father, Best Friends, Her Or Him. 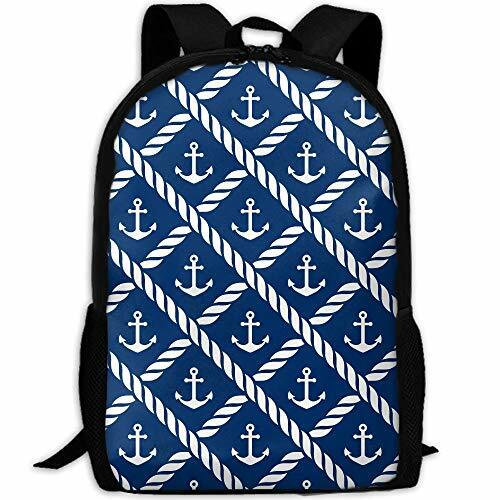 A Must For School Supplies, Travel Accessories And Laptop Accessories. BRAND: SAPLA Is The Only Authorized Seller And Offer Authentic Items, Other Sellers Are Counterfeit And Offer Inferior Item, Please Make Sure You Choose SAPLA When "Add To Cart". SIZE: 28*43*16 cm, Suitable For Outdoor Activities Travel And Shopping Work And School Daily Use. DURABLE MATERIAL & SOLID: Made Of Water Resistant And Durable Polyester Fabric With Metal Zippers. Ensure A Secure & Long-Lasting Usage Everyday & Weekend. Serve You Well As Professional Office Work Bag, College High School Big Student Backpack For Boys, Girls, Teens, Adults. COMFY & STURDY: Comfortable Airflow Back Design With Thick But Soft Multi-Panel Ventilated Padding, Gives You Maximum Back Support. Breathable And Adjustable Shoulder Straps Relieve The Stress Of Shoulder. Suitable As Laptop Backpack / Travel Backpack / School Backpack. AWESOME GIFTS: This Is The Stylish, Cool, Personality, Casual, Durable, Popular Backpack. Perfect Gifts For Yourself, Family Or Friends. Delivery Time Normal 6-14 Days. Maybe Faster. Please Make Sure Your Order Is Fulfilled By SAPLA To Ensure You Receive High-Quality, Authentic Products With Fast Shipping. If you have any questions about this product by SAPLA, contact us by completing and submitting the form below. If you are looking for a specif part number, please include it with your message.